RobLeone.com | Research. Teaching. Public Service. Rob Leone is an Assistant Professor of Political Science at Western University and is the former MPP for Cambridge. Rob Leone is currently researching the use of contempt motions at the federal and provincial levels of government in Canada. Rob Leone is an Assistant Professor in the Department of Political Science at the University of Western Ontario. 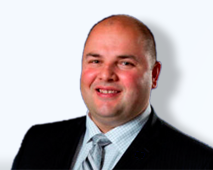 Rob Leone served as the MPP for Cambridge in the Ontario legislature from October 2011 to June 2014. Rob Leone writes about the inside story of how the biggest scandal in Ontario's history came to light. With Ford at the helm, Tories poised to win biggest majority ever!